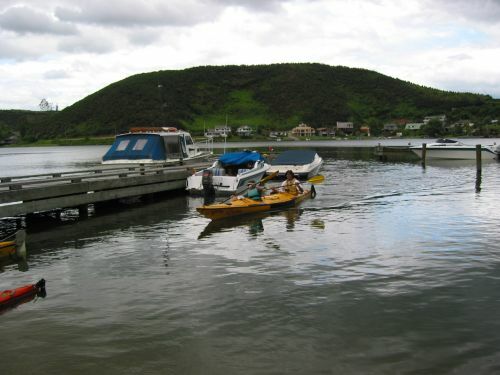 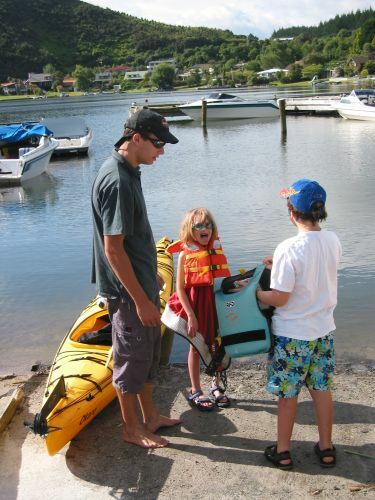 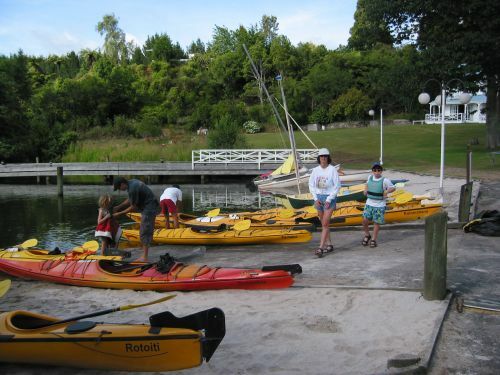 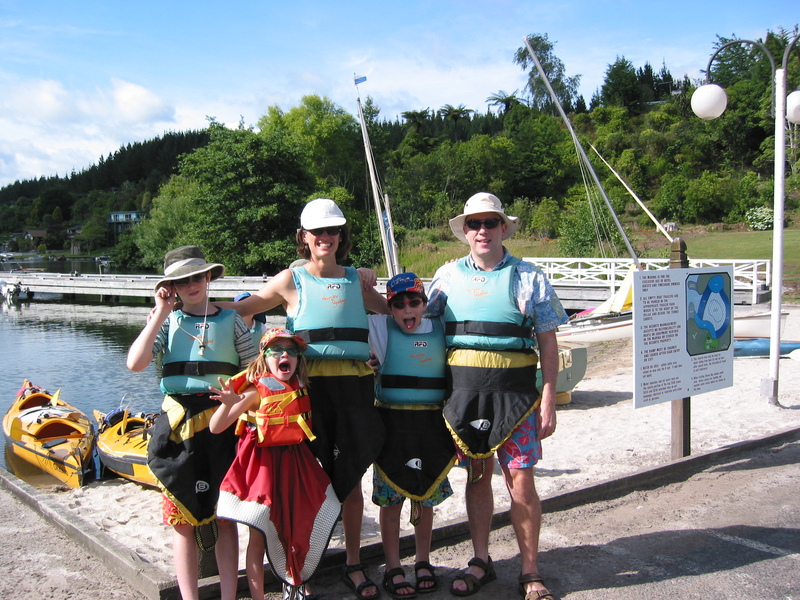 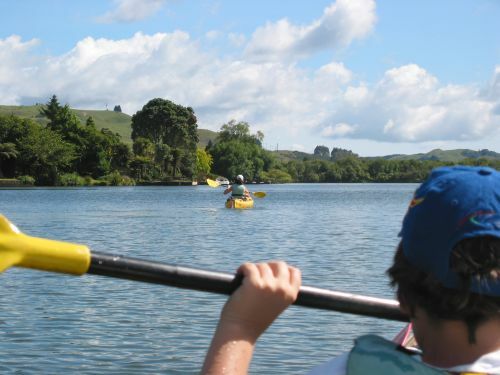 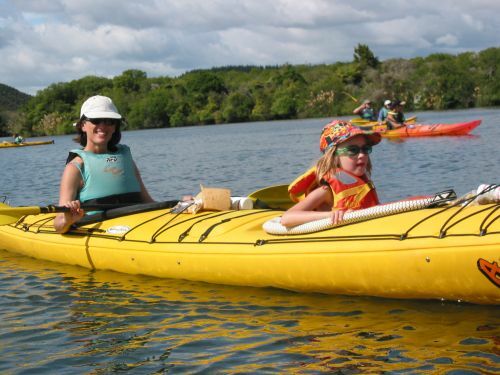 After breakfast we walked to the boat launch area to done spray skirts and life vests for our kayaking excursion on Lake Rotoiti. 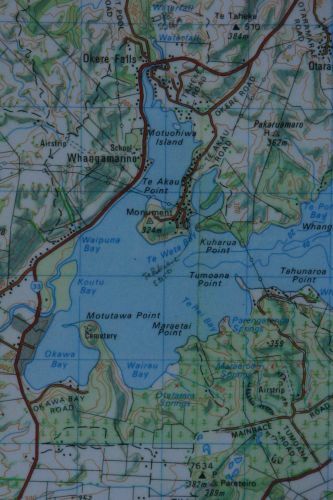 Travis was our guide, and we kayaked from Okawa Bay past Motutawa Point, Te Akau Point, around Motuohiwa Island, and back to Okawa Bay (see map). 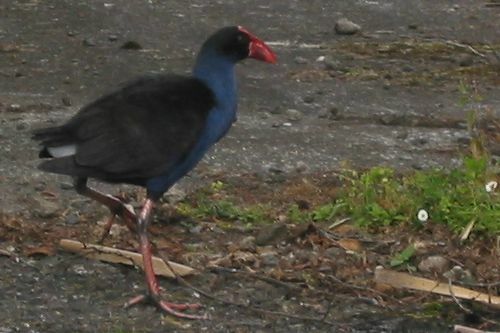 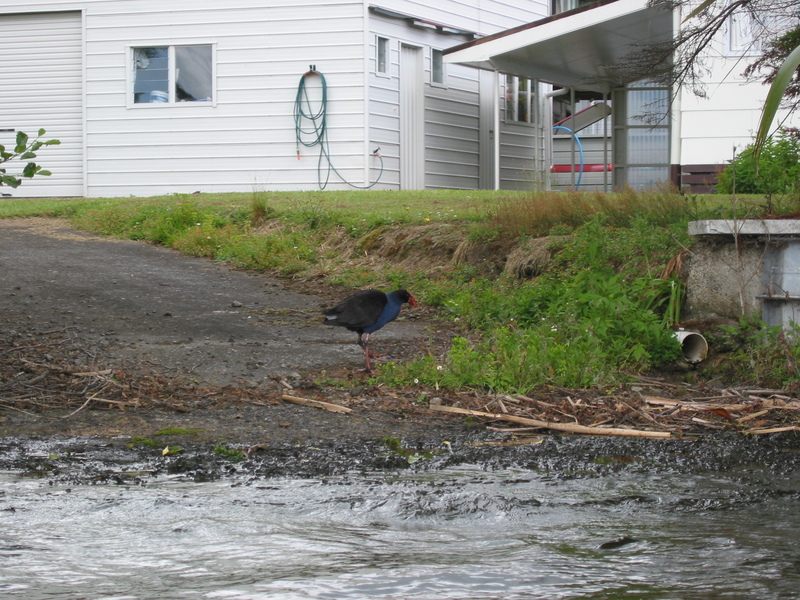 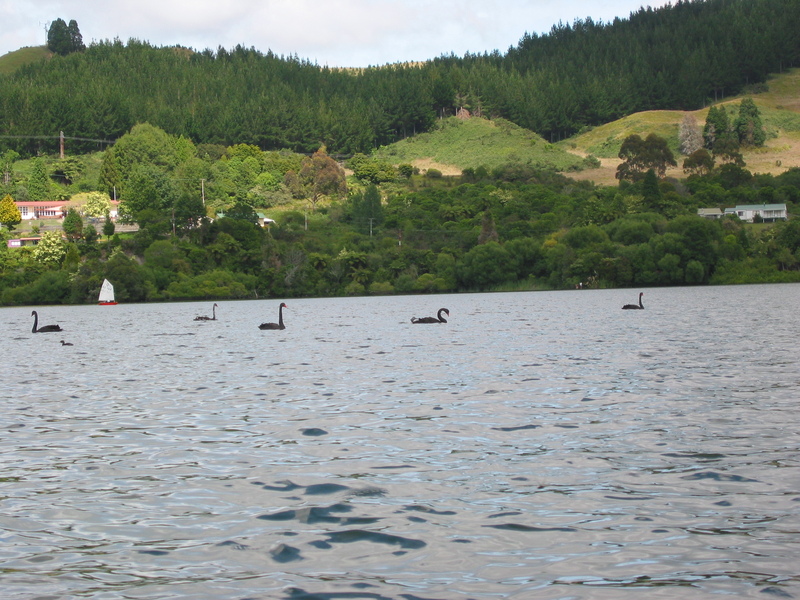 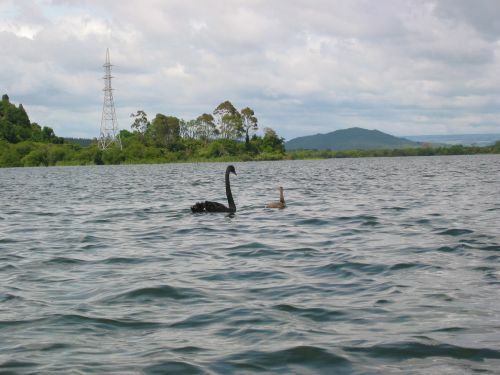 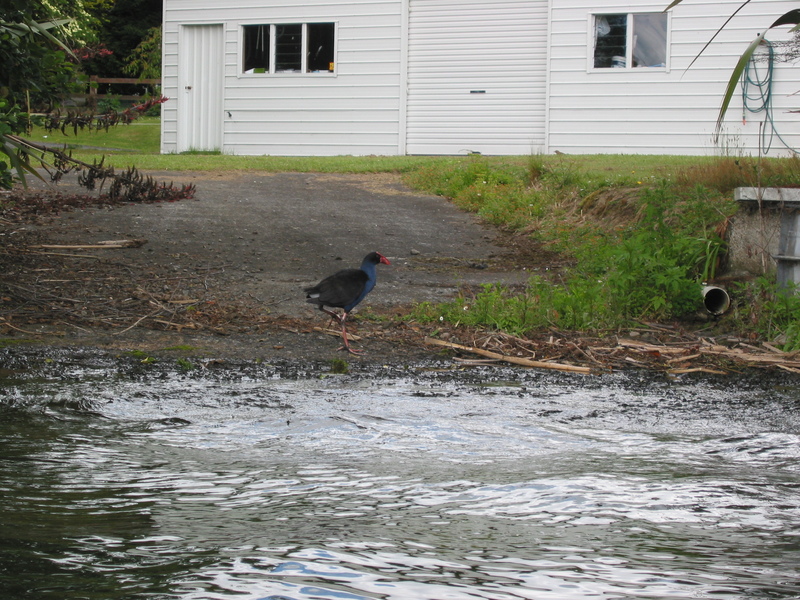 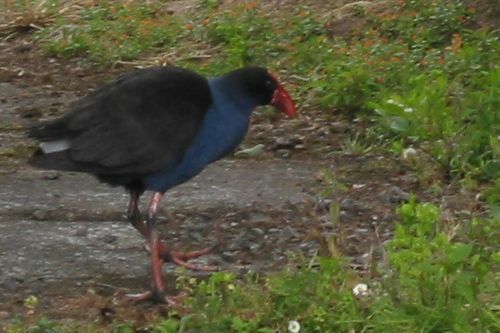 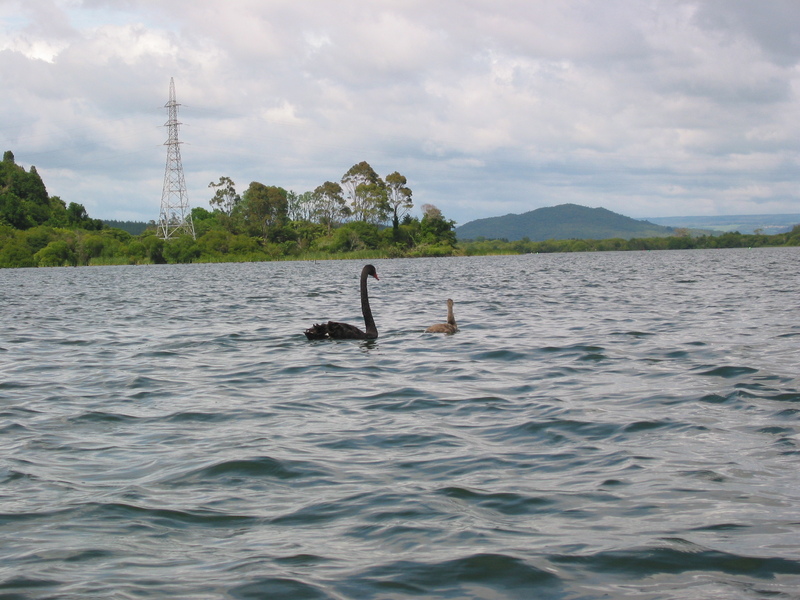 Along the way we saw many black swans with a few juveniles (cygnets) and a Pukeko, which is a native New Zealand flightless bird (see photo). 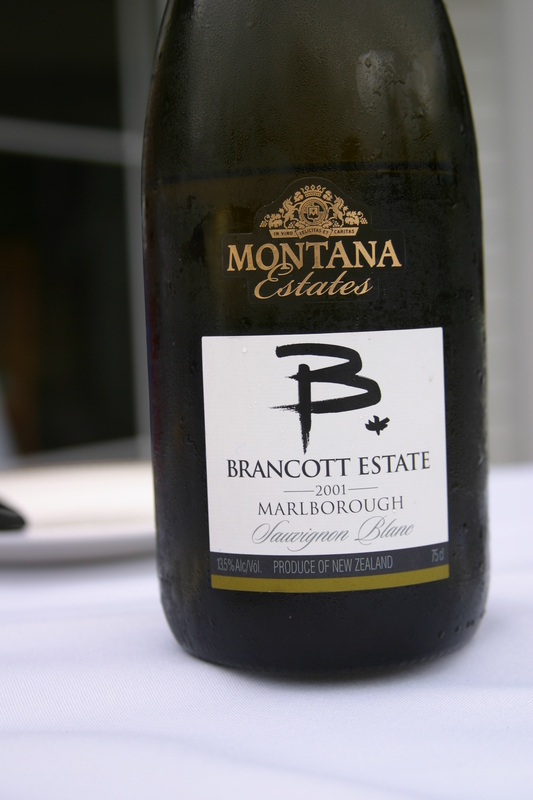 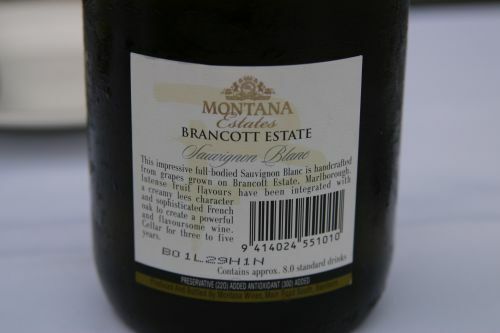 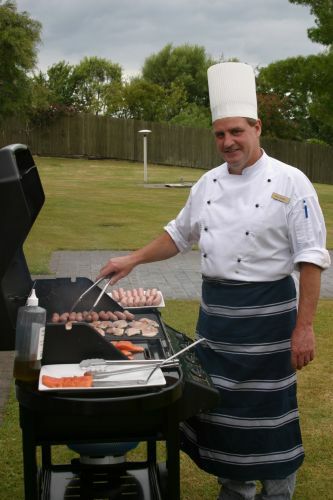 Chef Paul Minnell prepared a lunch buffet just for us, and we tasted a 2001 Brancott Estate Sauvignon Blanc from Marlborough, produced by Montana Estates. 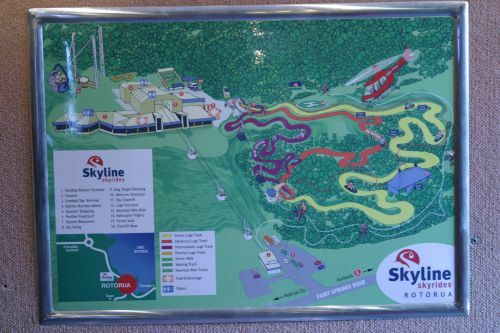 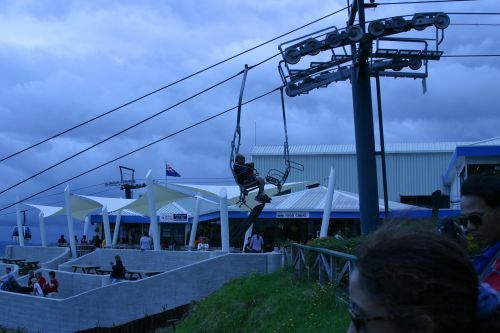 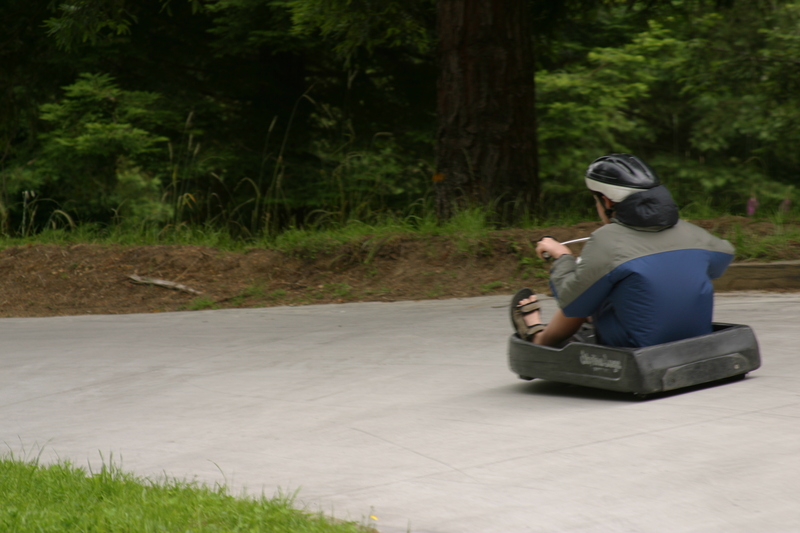 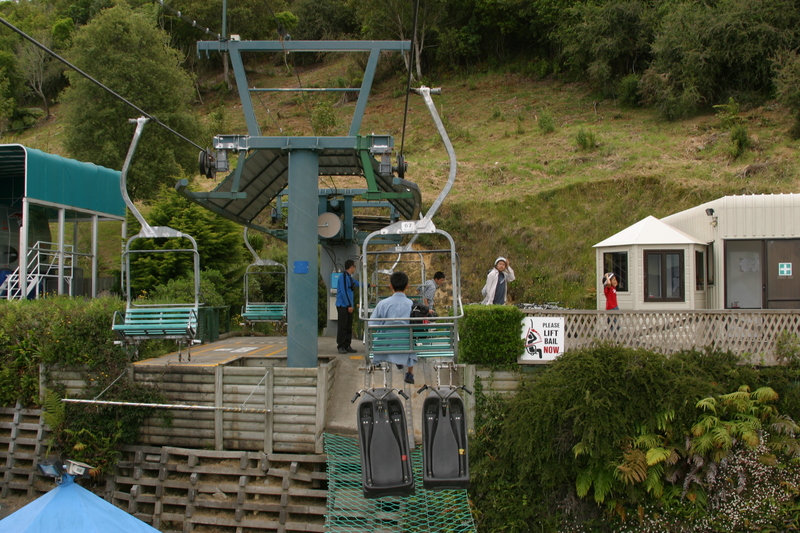 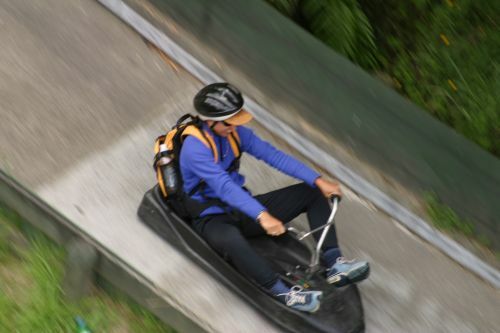 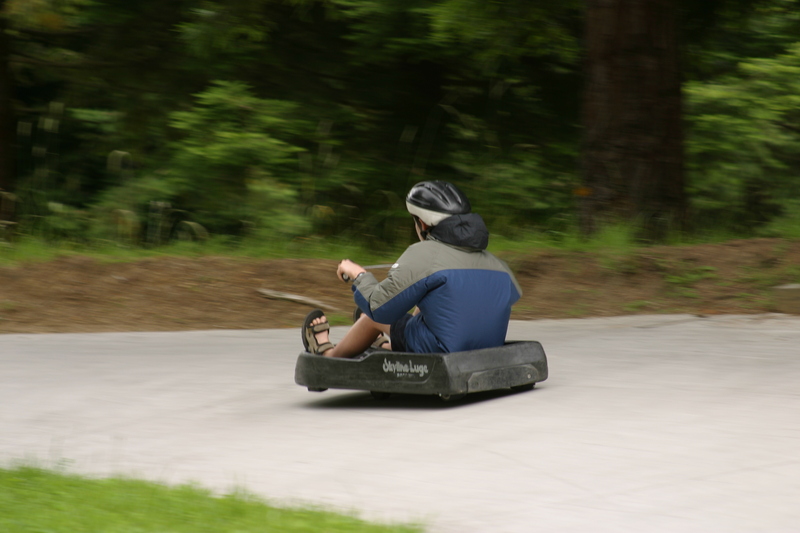 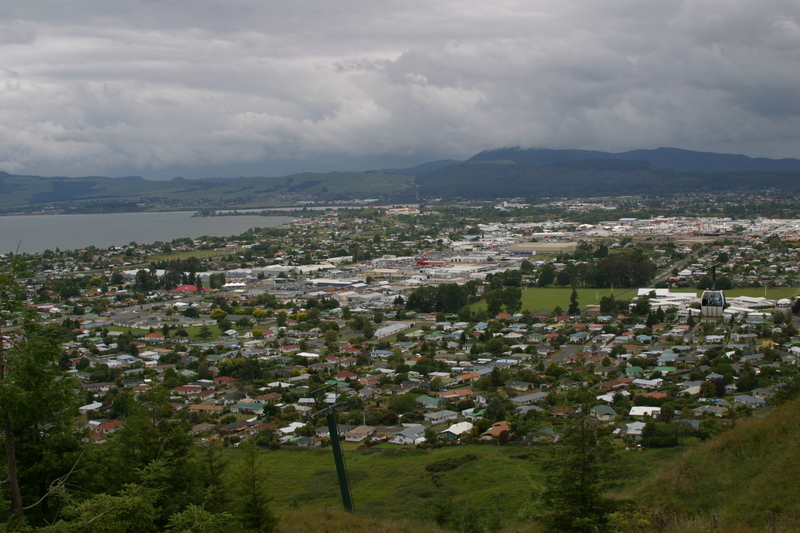 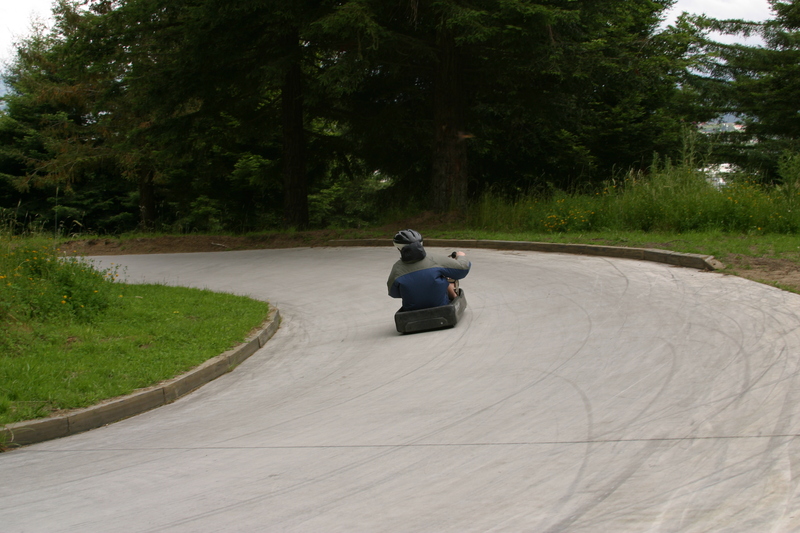 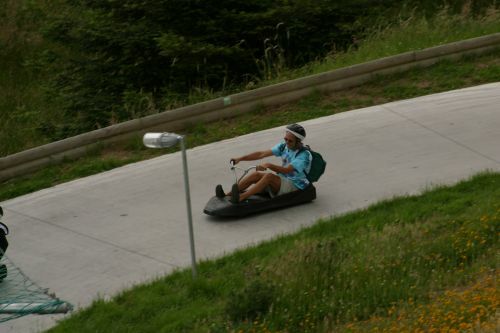 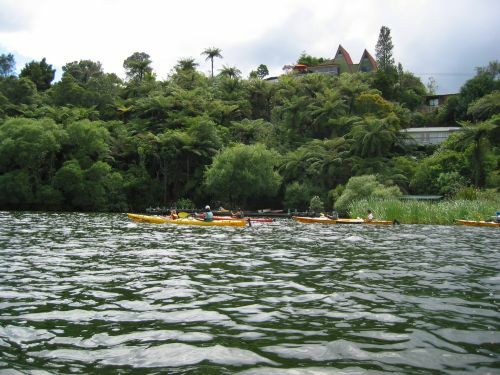 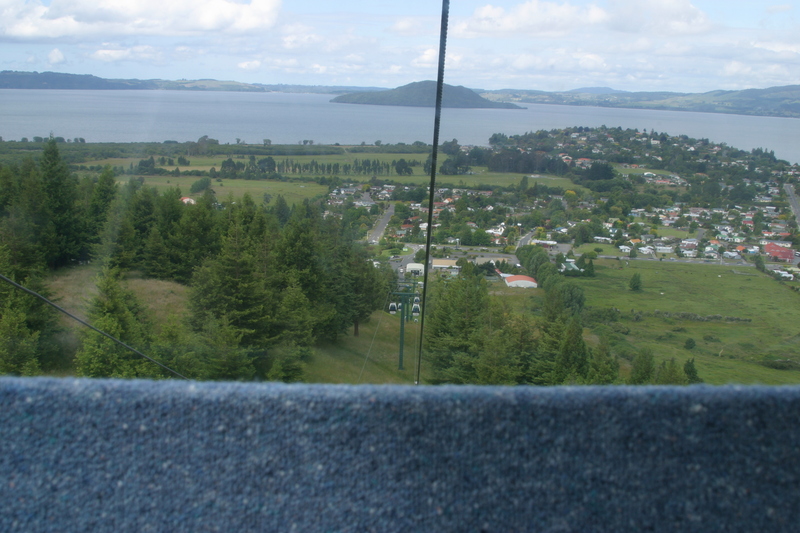 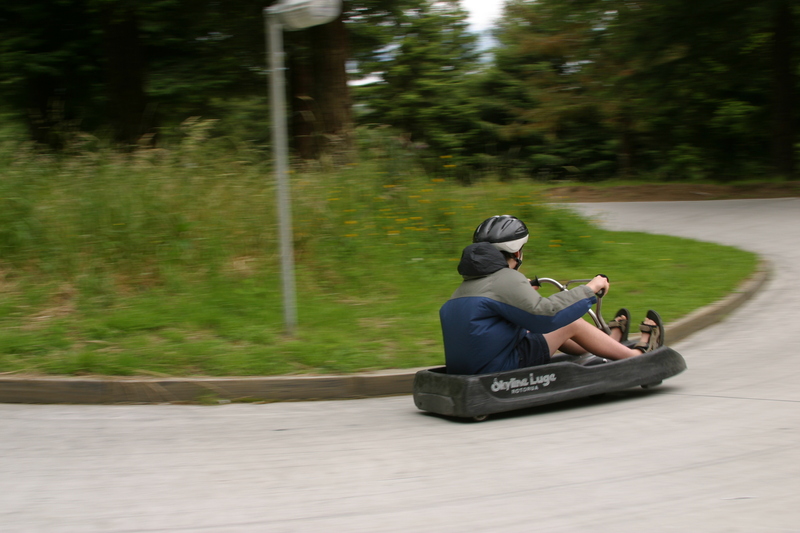 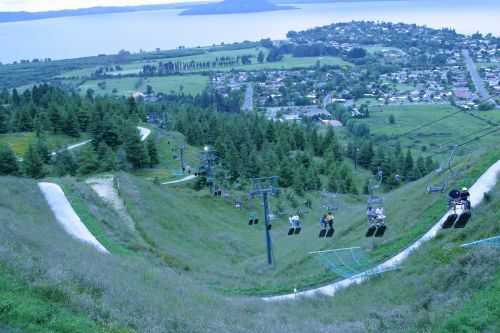 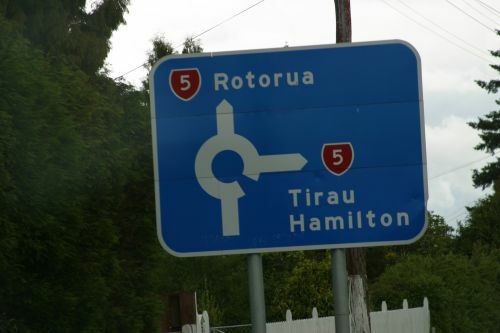 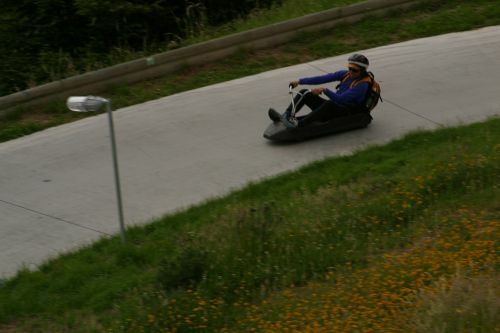 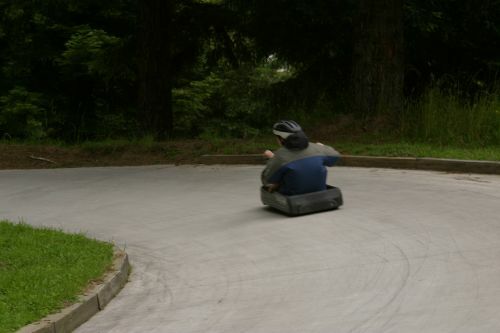 After lunch we drove to Rotorua when Max and Ben rode the Luge (see Skyline Skyrides). 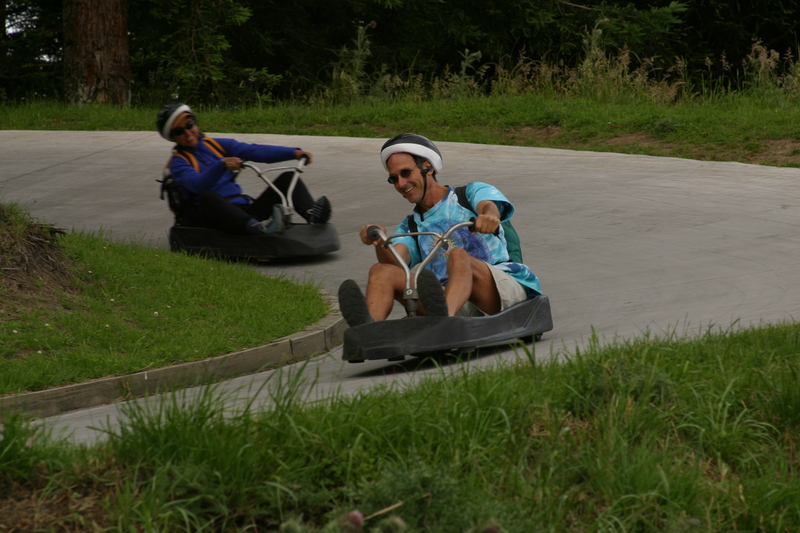 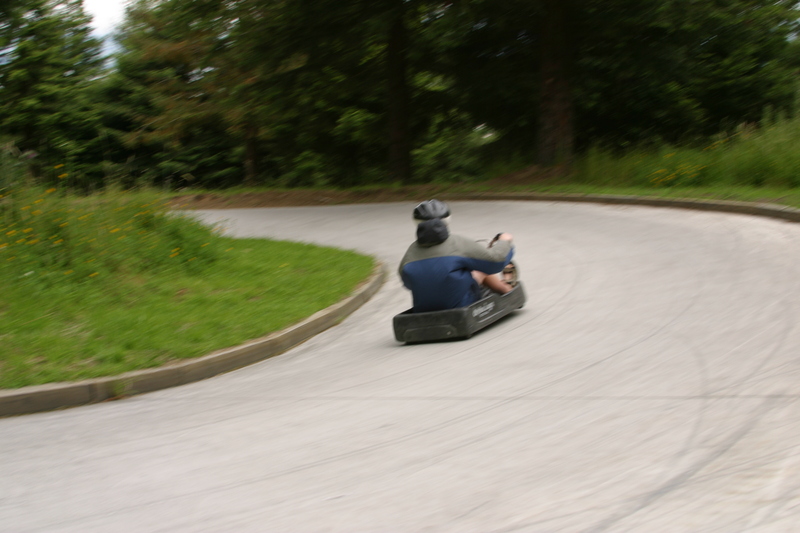 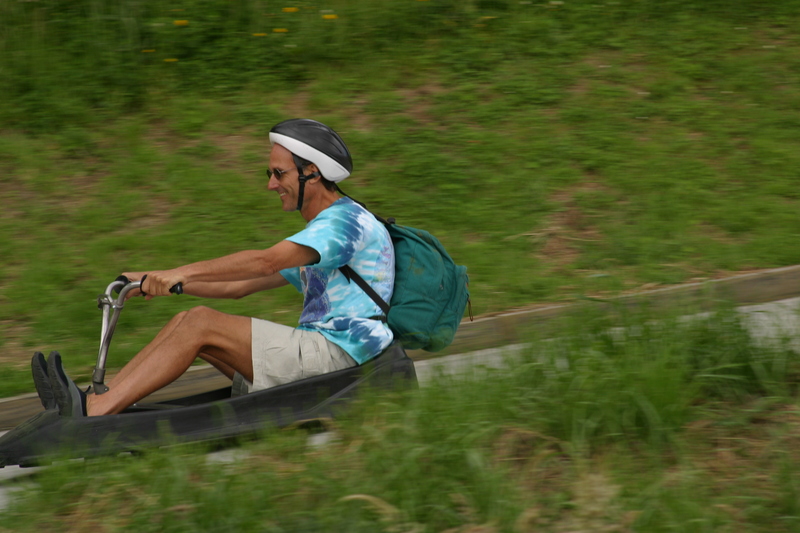 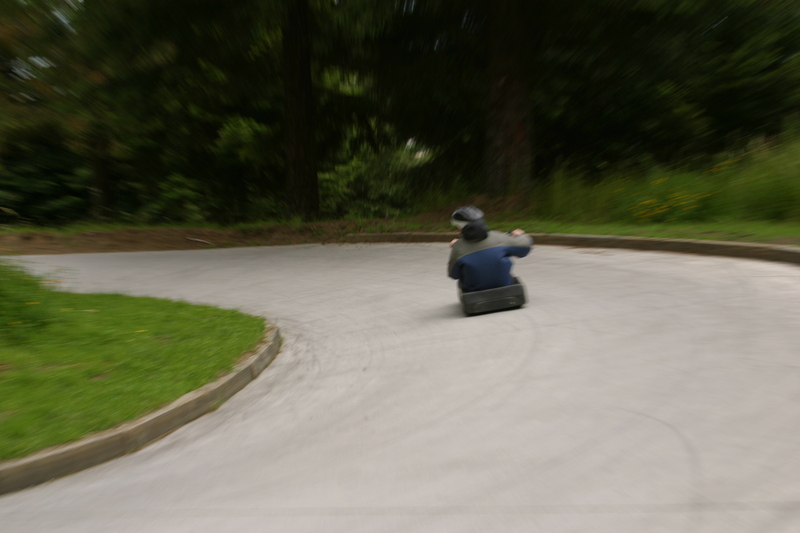 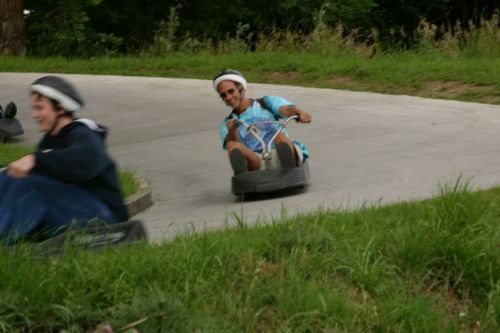 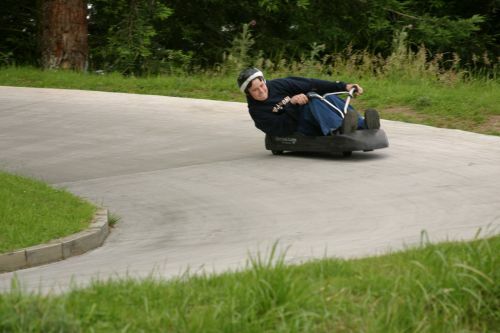 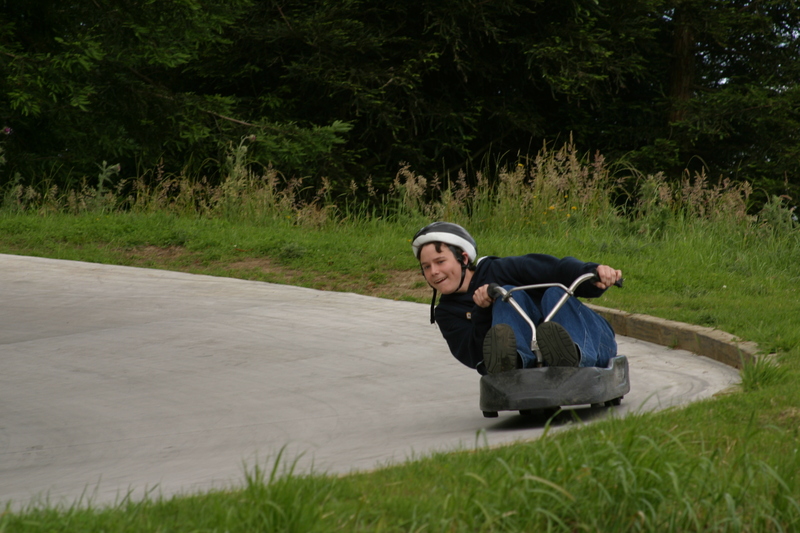 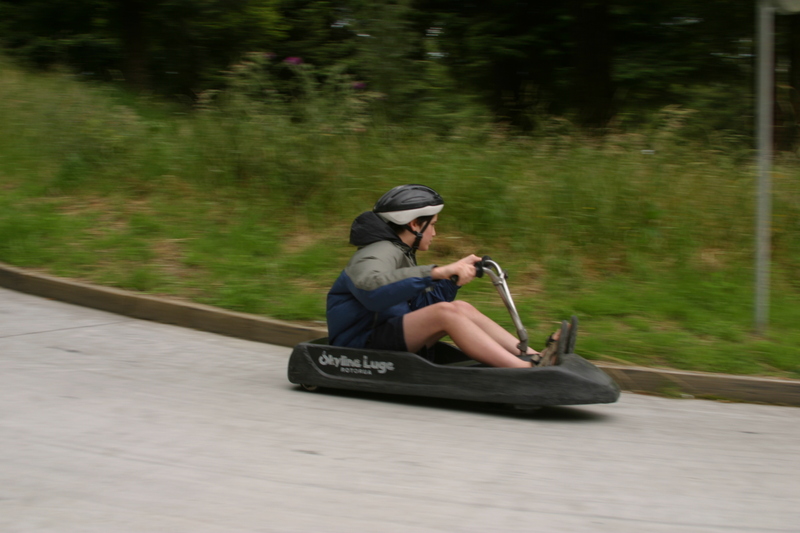 The luges were three wheeled vehicles with very small rubber wheels. 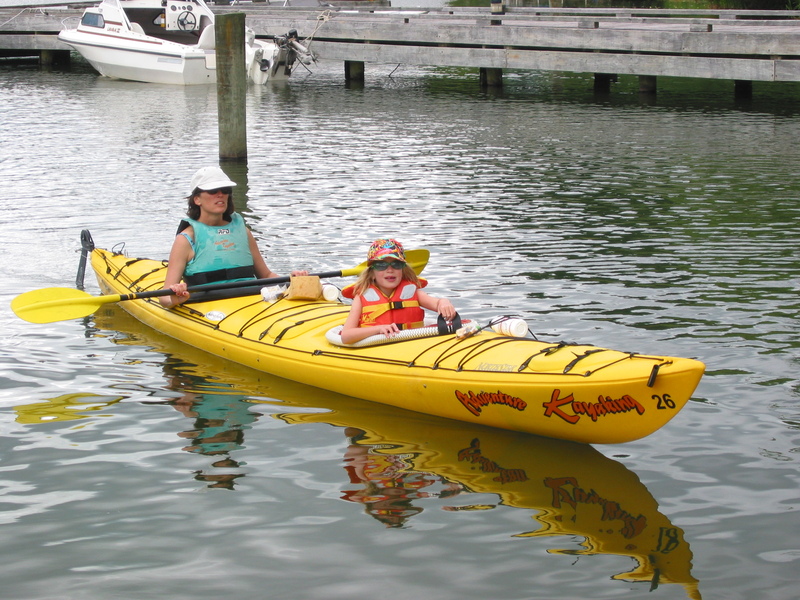 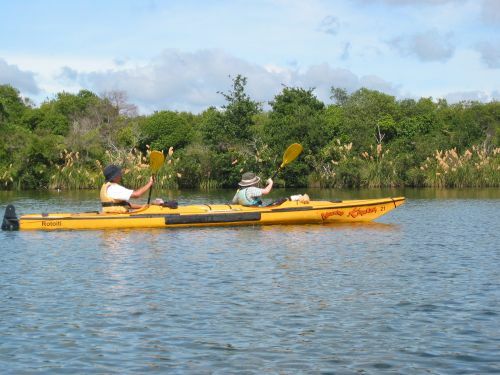 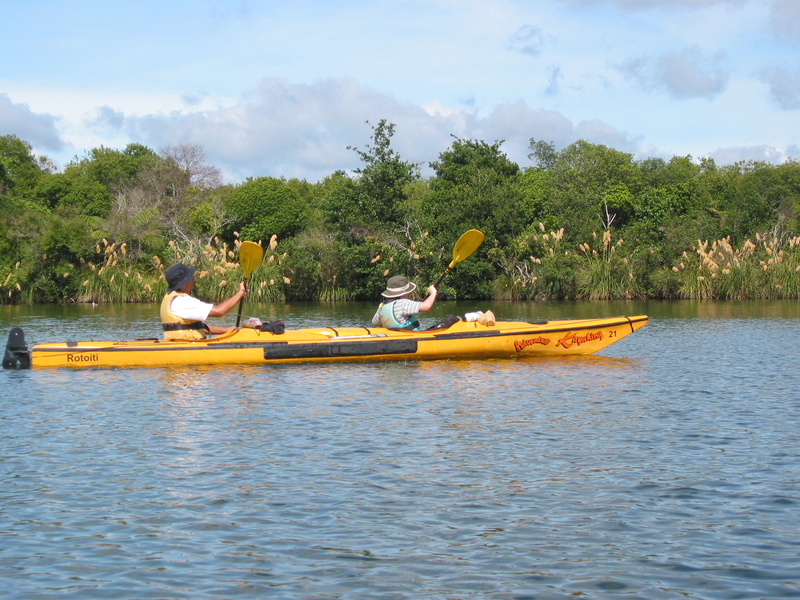 You grasp the handle bar and pull toward you to release the "parking" break, turn to steer, and pull it even closer to you to break (so PNB -- Park, Neutral, Brake -- instead of the PRNDL of a typical automobile automatic transmission). Max and Ben made five Luge runs: Scenic, Intermediate, Advanced, Advanced, and Scenic. 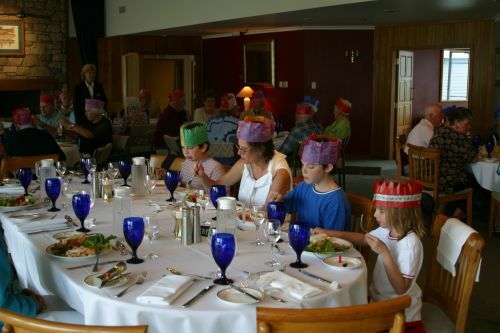 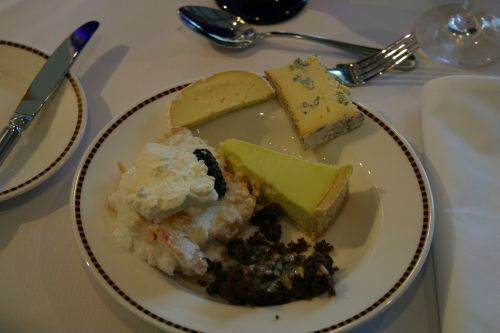 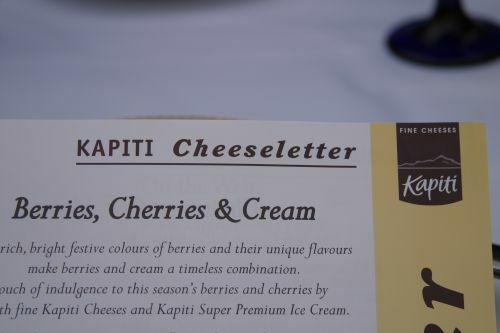 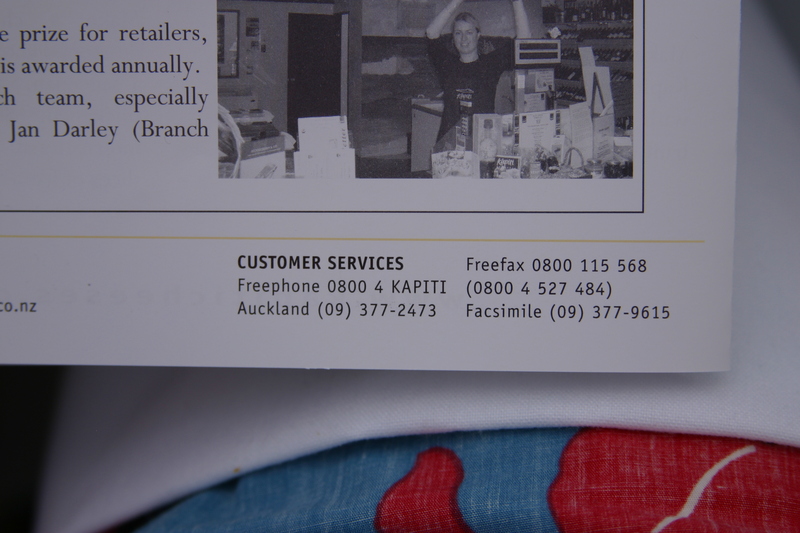 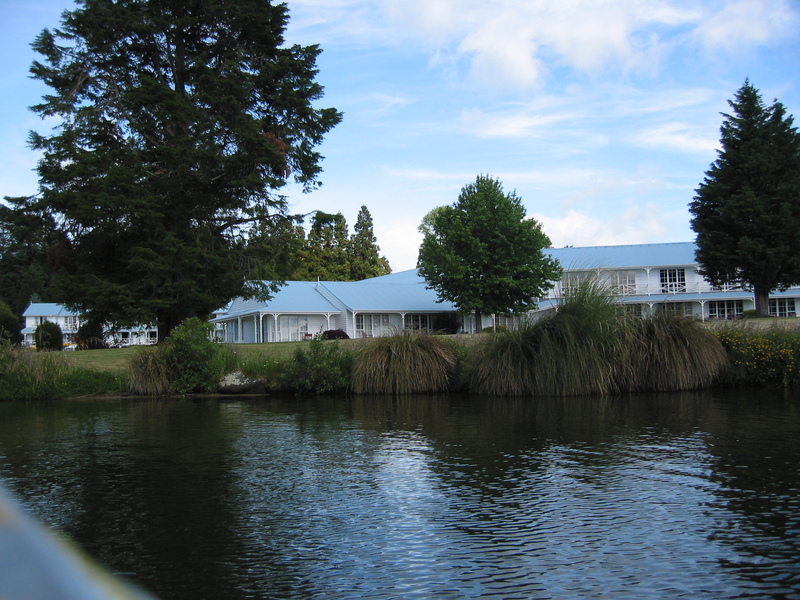 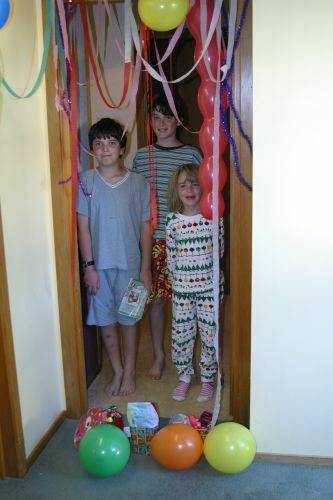 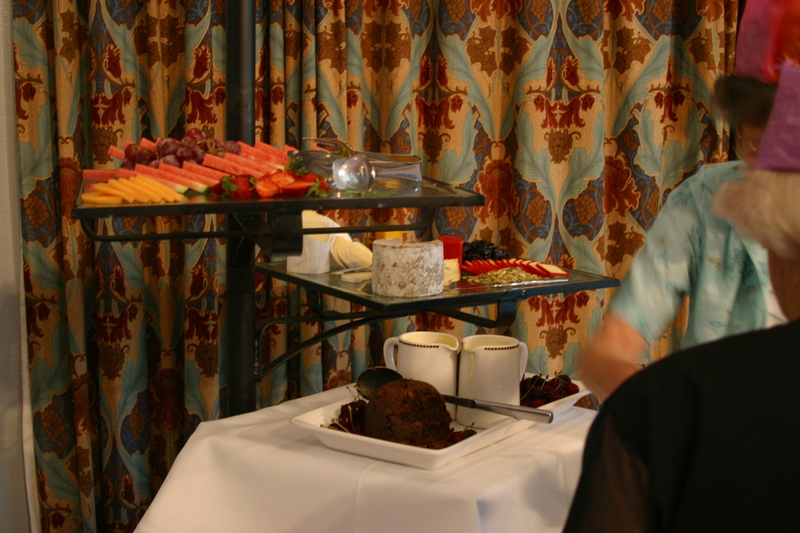 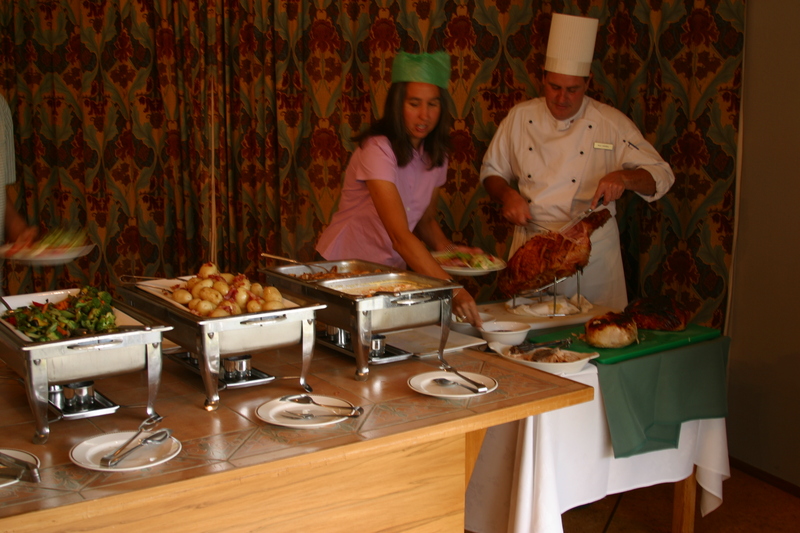 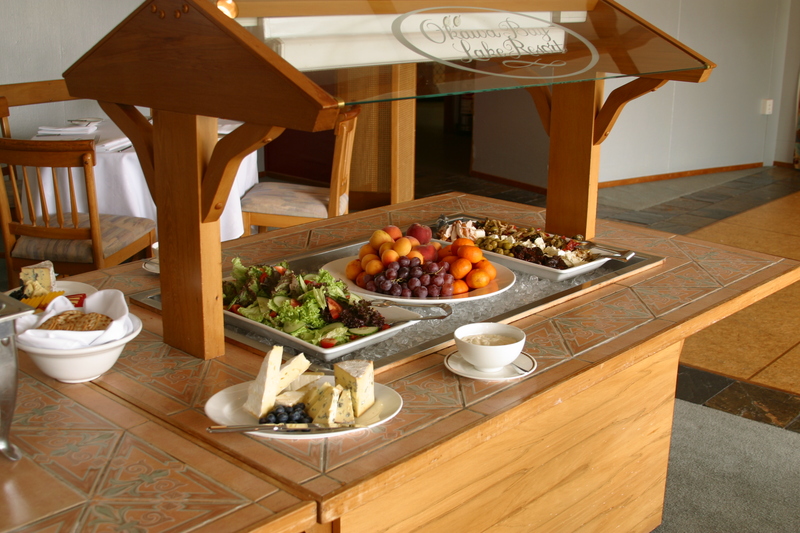 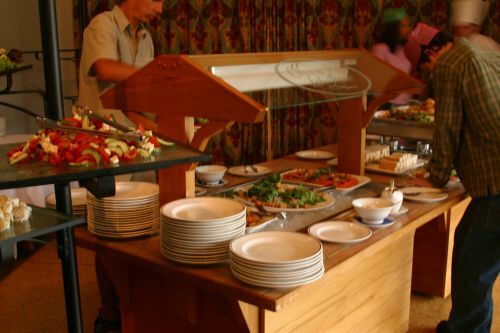 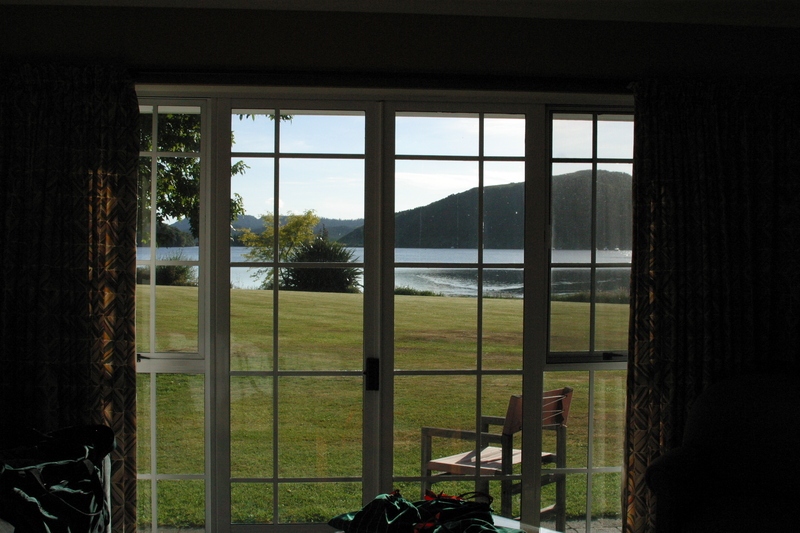 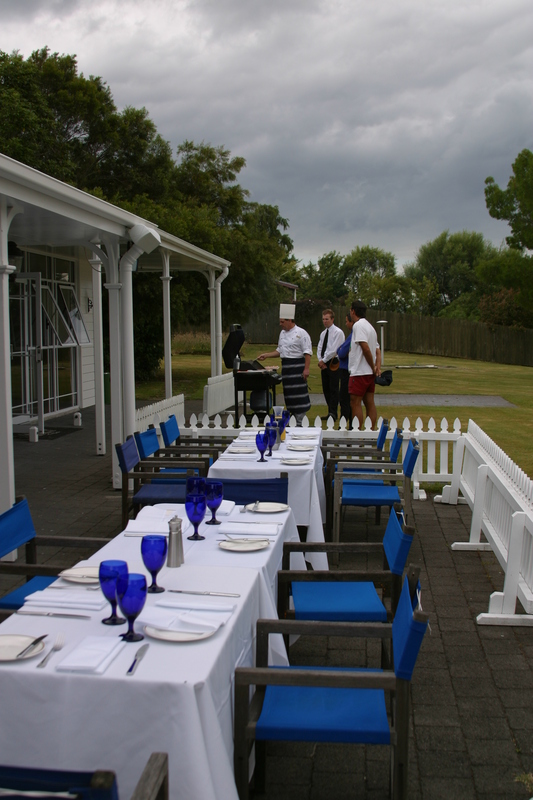 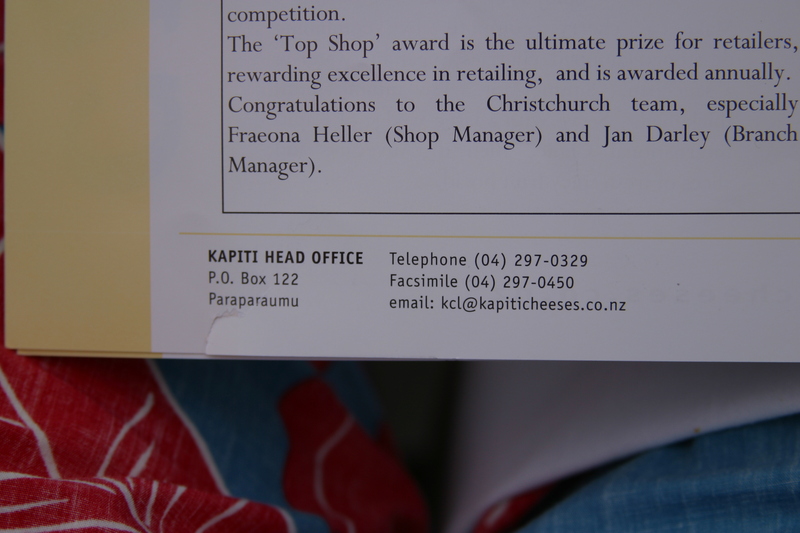 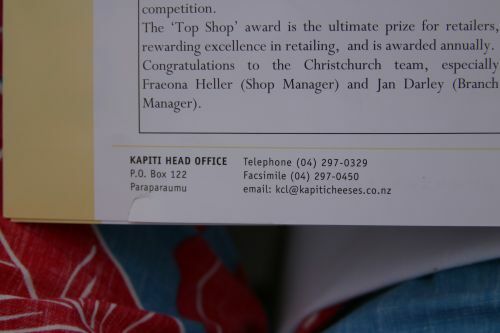 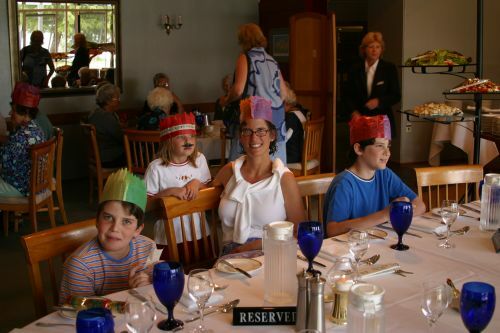 We had Christmas dinner back at Okawa Bay Resort, including a big ham and Pavlova (the traditiona kiwi dessert)! 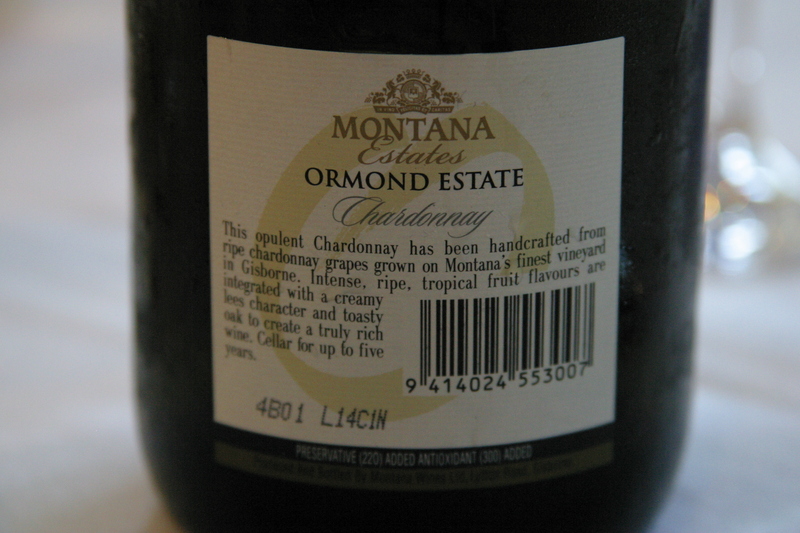 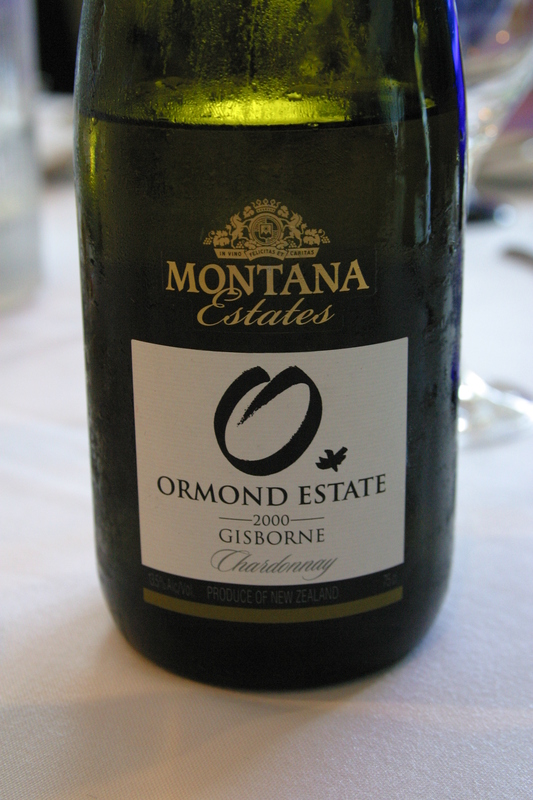 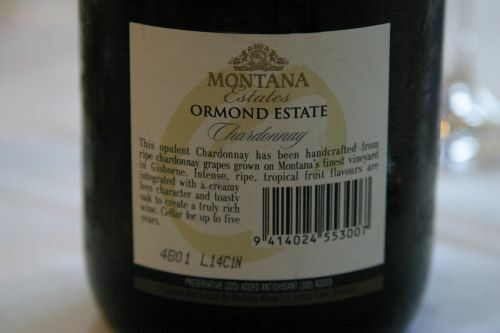 To accompany the meal we enjoyed a 2000 Ormond Estate Chardonnay from Gisborne (another Montana Estates wine) -- good, but not quite as nice as the 2000 Marsden Black Rocks Chardonnay.